Last week we showed you the stunning photos of a baby born with the amniotic sac still intact. This week, we bring you a video of it! The 25-second video is a must-watch and gives incredible insight into how powerful a woman’s body really is and just how unique each birthing experience can be. Like most mums, Jasmine Perez shared the news of the birth of her new baby on Facebook. However, the 25-second video is certainly not the traditional birth announcement post. Why? Because her little one was born with the amniotic sac still intact. 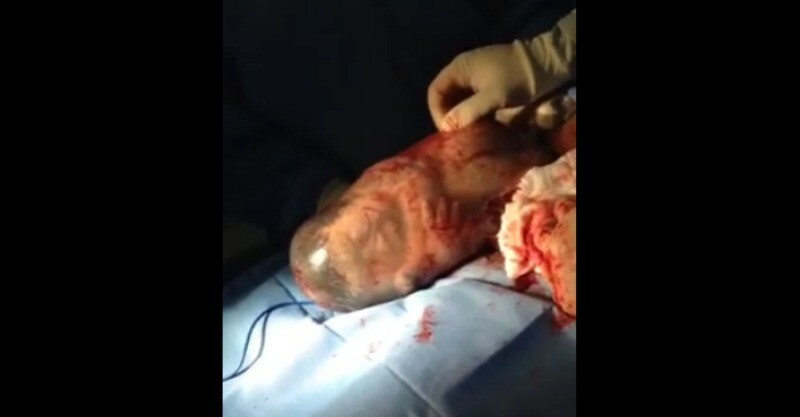 This type of birth, known as en caul, is extremely rare, occurring only in 1 in 80,000 births. Actually capturing the moment on film is even rarer. Yes, the video may be in Spanish but the message is certainly not lost in translation – birth is an incredible thing!